The campaign was strategically planned to tie in with the state visit of Chinese President Xi Jinping to the United Kingdom, with the spectacular Chinese scenery and landmarks standing out against the busy London traffic. 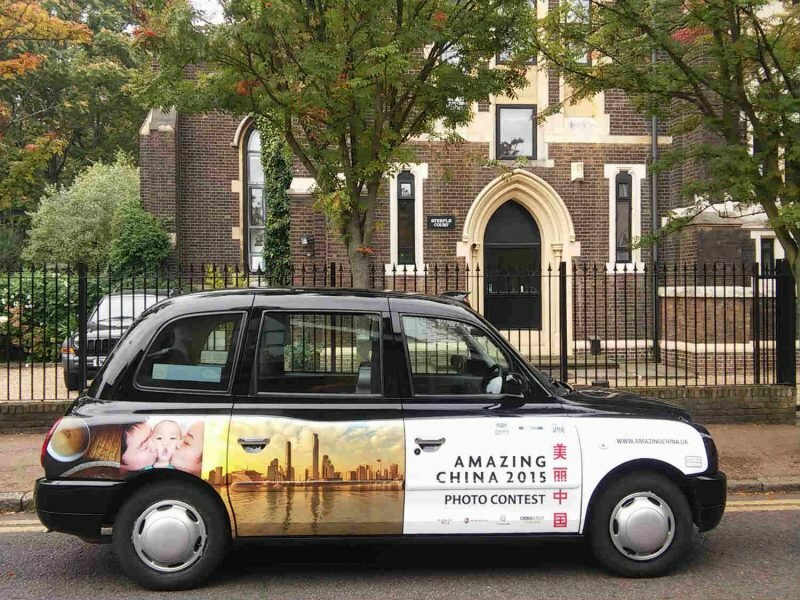 All of the images used on the famous London taxis were chosen from entries to the Geely Cup 2015 Amazing China Mobile Phone Photo Contest, with a grand opening ceremony in London’s Chinatown district catching the eye of the capital’s Chinese community, as well as international tourists. Over 100 photographs were chosen from over 8,000 competition entries, with the selected images on show on the cabs for a month on 50 cabs in the capital. The competition was launched in Beijing in August, and aimed to show the world the beauty of China as captured through the lens of a mobile phone.